With all the talk about pumpkin spice lattes this week, I think most of us are ready for fall. Beach days, sandals and picnics in the park are pretty much behind us, and we're thinking about autumn walks through the woods, creamy soups and cozy throw blankets. Not that we won't miss summer! My husband was home for the summer, and we spent a lot of time on the house, decluttering and tackling projects in various rooms. It felt really good to clean out and go (a bit) more minimal. We have loads of books and collectibles, but my goal is to have them all neat and tidy and in place, without clutter on counters and floors. We're not quite there, but I feel more confident that it will indeed happen. As we worked on our house, I browsed some decor books to keep me motivated. Here are a few that I found really inspiring. I think you'll like them too. My home office has been a focus of late, with our recent desk area makeover. In looking for inspiration, I came across this book from Thomas Allen & Son. Your Creative Work Space: The Sweet Spot Style Guide to Home Office + Studio Decor , by Desha Peacock, looks at the home offices and studios of creative types - men and (mostly) women who have created beautiful work spaces that inspire them. "In this book, we are going to primarily focus on how your physical space can enhance your creative work flow," says Peacock in the intro. She reminds us that we are all born with a desire for creative expression, but sometimes the world gets in the way. Whether you have a full home office, a wee desk in the kitchen or even just a bedside table, carve out a creative "work" area just for you. This could be in the form of a portable basket packed with goodies such as notebooks, markers and magazine clippings. Carry it to the kitchen table or couch and create a collage that reflects your current desires. This book is plum full of beautiful, soft photos of oft-Bohemian home offices and artists' studios. I can't even count how many times I sat down with this book in the evenings, not just to browse the photos, but to read the text about the work that each profiled individual does, how they express themselves in their surroundings and how they stay organized. It's the kind of book that you can go back to repeatedly and find some new idea each and every time. And, even if you actually incorporate zero of the ideas in your space, I think it's worth it. You'll take away motivation and inspiration and hopefully the confidence to create a beautiful space just for yourself. 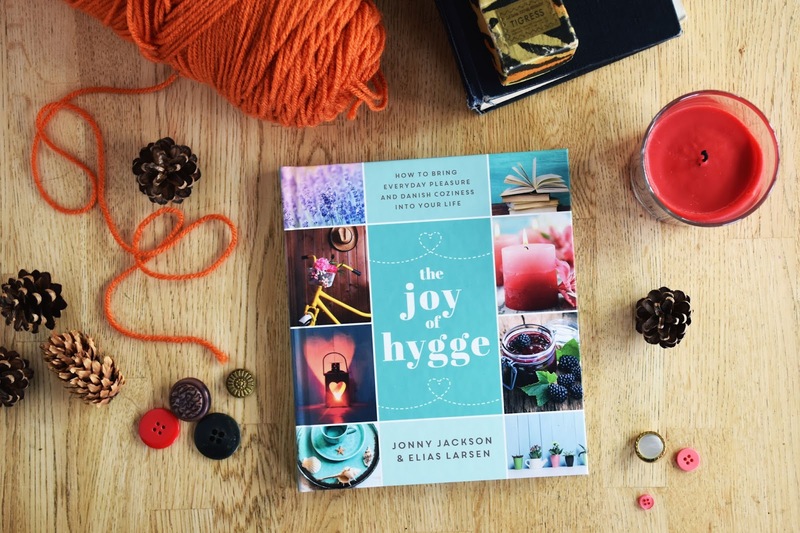 The Joy of Hygge: How to Bring Everyday Pleasure and Danish Coziness into Your Life , by Jonny Jackson and Elias Larsen, is a little treat for fall/winter. It's perfect for tucking into a gift bag with loose leaf tea and a scented candle for a friend's birthday. "Hygge illuminates the long, dark Scandinavian winters with candlelight and crackling hearths, and good times shared with friends and family. It's something that pervades the Danish psyche and is intrinsic to their lifestyle, all year round." Interestingly, hygge (pronounced somewhere between hoo-gah and hue-gah) doesn't translate easily into English. It's about finding the joy in the simple pleasures each day brings. My background is Scottish and Irish, so as long as hygge involves tea, I'm all good. In fact, it kind of is about snuggling up with a warm beverage. It's also about crafting, baking, enjoying nature and spending quality time with loved ones. The Joy of Hygge will get you on your way to more coziness, more self-nurturing, more enjoyment of your free time. It's photo-heavy, with loads of images of flowers, plants, candles, cozy furnishings, tablescapes and even a sleeping kitty. You'll also find instructions for making lavender bags, felt slippers, a mug cozy and fairy-light lanterns. There are ideas for creating a nature display, carving pumpkins and making delicious fall/winter recipes like iced vanilla cookies and cinnamon hot chocolate. 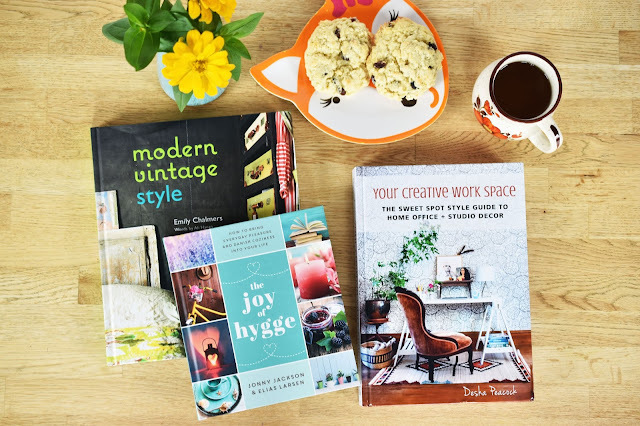 The Joy of Hygge is a great Christmas gift for your book-loving bestie! For me, a cozy house demands vintage touches. Your grandmother's quilt, a thrifted Pyrex casserole dish, an antique sideboard, a mid-century modern chair - whatever it is that you cherish, vintage furnishings and dishes make a house feel more like a home. Modern Vintage Style, by Emily Chalmers, is a beautiful book, with photos of unique interiors that harness the power of unusual, quirky and inventive pieces that have been restored, reinvented and/or rescued. "Without a little vintage, sleek, modern interiors can seem soulless. And, without a modern context, vintage pieces seem fusty and staid. Yet, when they come together, interiors become completely fresh," says the intro. Modern Vintage Style will have you wanting to add hand-stitched crocheted flowers to your lampshades (like Aurelie Mathigot) or paint the base of your floor lamp in striking colours like teal and red (like interior stylish Sandrine Place has done). There are chapters on textiles, decorating, creating displays of collections and the modern vintage cook-eat space. It's all really pretty and fun to look at. The sleep chapter has me wanting to grab a floral quilt and some antique linen sheets and crawl back into bed! Which of these books appeals to you? How will you be cozying up your space this fall? *I was provided with books for review purposes. All opinions are authentic and my own. This post contains affiliate links. All these books seem very interesting. Have very inspiring projects. 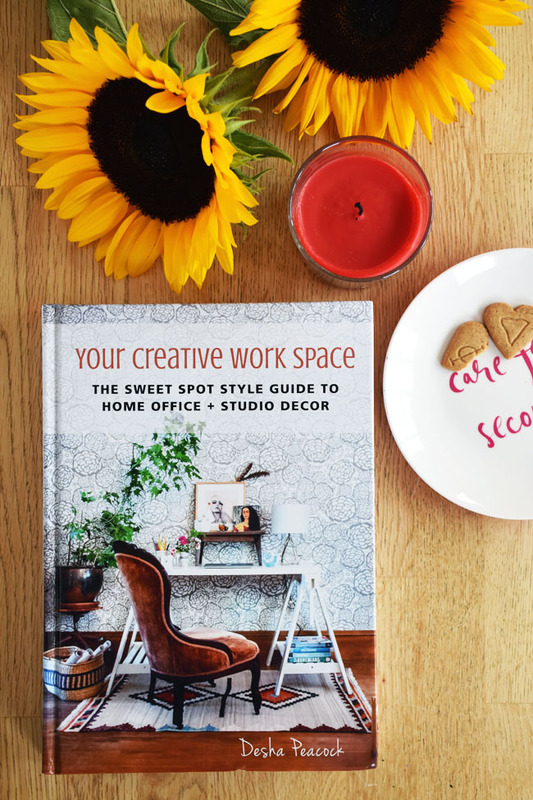 I would pick Your Creative Work Space: The Sweet Spot Style Guide to Home Office + Studio Decor. I'd like them all but The Creative Work Space looks really interesting. I am completely in love with the concept of hygge and will have to track down the boy The Joy of Hygge that you suggested. It makes you feel warm and cozy just thinking about it and when you add in the tea, candles, and delicious baked goods made with cardamom...man you have such a great day. 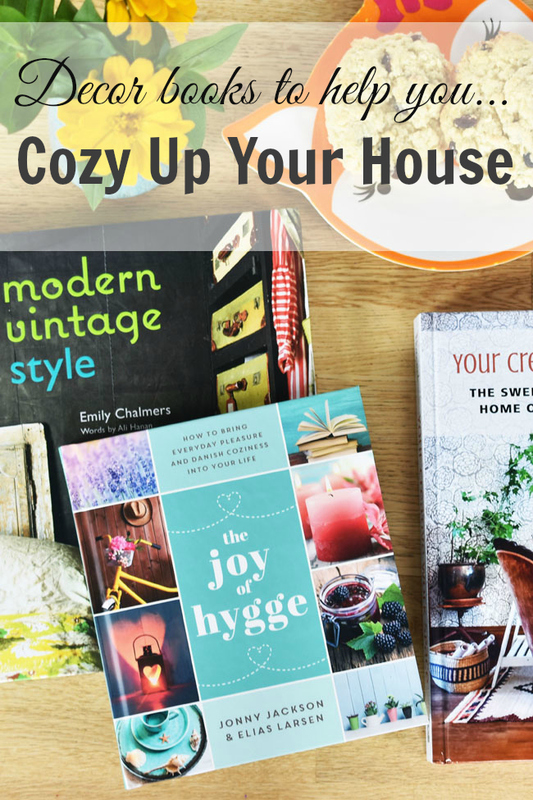 These books sure look like they are full of fun creative ideas for Fall ! I love books! these all look great; I am especially interested in the book about hygge. These would all make great coffee table books! I am not sure if we'll be making any changes in our home this fall, but I love to look and see what others are doing! 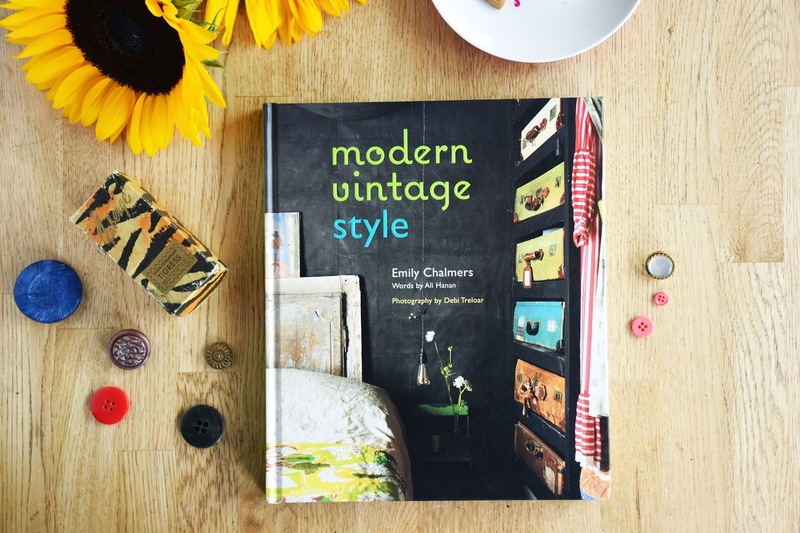 The Modern Vintage Style book appeals to me. I like to cozy up with lots of quilts. I have them on my walls, I have them on all our furniture. They just give me a comfort feeling.